Ongoing deal, never expires. Last validated 2mo ago . Used 240 times. Mabel Martinez I am validating that this deal works as described. 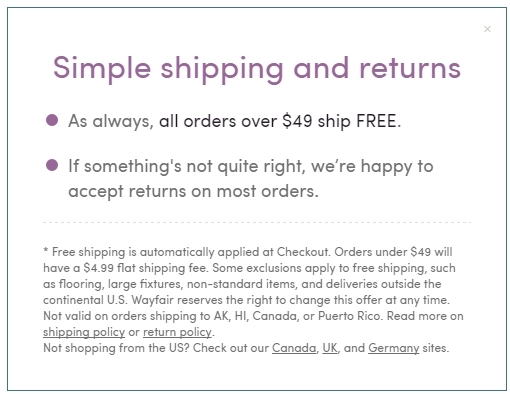 Free Shipping on Orders Over $49 at Wayfair (Site-wide). Some exclusions may apply. Mark Lois This deal works just like described. There may be some exclusions that apply to this deal. 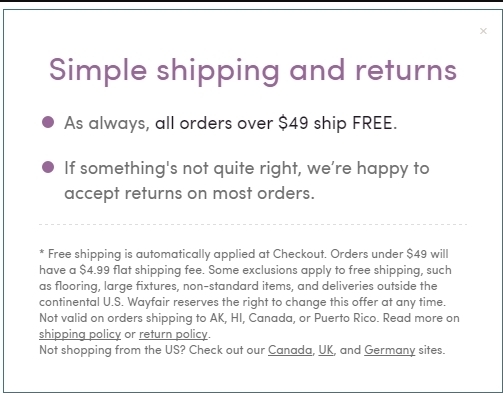 Paula Rivera You Can Get Free Shipping on Orders Over $49 at Wayfair. 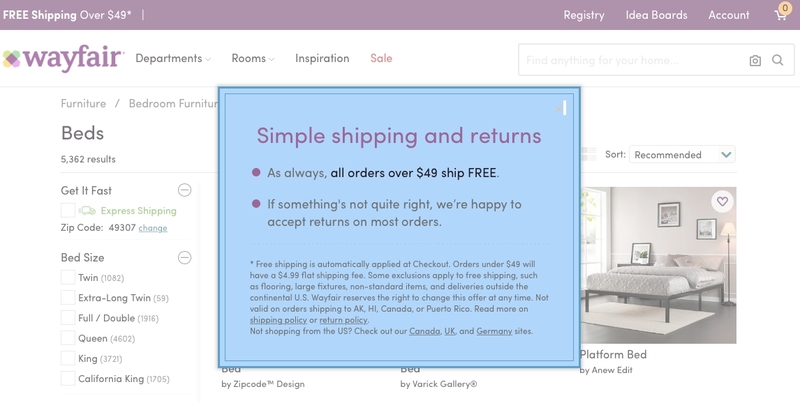 Free Shipping is Automatically Applied at Checkout. No Code Required. Monica K. Geglio This is an ongoing deal. Make a purchase totaling $49 or more and receive free shipping in the continental United States. No promo code necessary. Anthony Castro This deal works as described. Just add the product to your cart. The discount is already applied. No further action required .